A financial workhorse as nimble as you need to be, with custom reporting and centralized processing for ultimate efficiency. Automate Your Routine. Activate More Return. No more duplicate data entry or lengthy searches. RealPage® Accounting is a feature-rich, web-based property management accounting solution designed for corporate operations of any size. Fully integrated with OneSite Leasing & Rents, RealPage Accounting delivers streamlined, automated workflows, and ultimately, dramatic savings in time and labor. Gain full visibility into the details of your data at the site level from just one solution. Centralize processing across all sites for powerful efficiency. And make every minute count, starting now. Specifically designed to accommodate the needs of complex businesses and those affiliated with them. You’ll never have to switch from property accounting to corporate accounting systems again. A 360-degree back-office accounting solution driving unparalleled efficiency and scalability, streamlining everyday workflows and offering full visibility into the details of your data at the site level from this one solution. 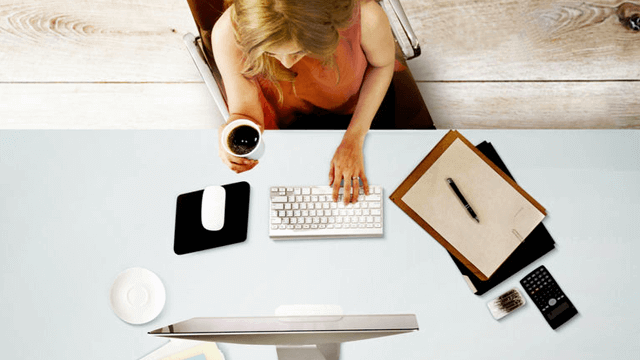 Month-end and year-end closing doesn’t have to take days, or even hours. Financial Close Management allows you to automate the entire process so that all of your books tie out in just minutes. Manage procure-to-pay the easy way, from purchase order through receipt of goods to invoice matching and payment. Create custom approval workflows, stay vendor compliant and control rogue spending. Keep building and renovation costs on track with ease. This fully integrated solution delivers complete visibility into capital expenditures, all in one place—all the way down to the unit level. Features time-saving, simplified features and functionalities designed to help reduce costs, improve accuracy and enable more productive budgeting, forecasting and reporting. Keep every stakeholder in the loop with customizable, complete and shareable financial reports. Leverage powerful functionalities such as configurable and role-based dashboards and searchable data grids, render financial and operational reports, KPIs, and much more. 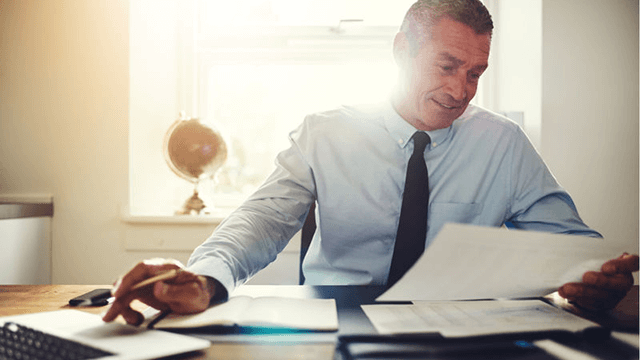 Our team of accounting experts, available by outsource, to turn to for on-time and accurate financials without the hassle of staffing and training an entire accounting team of your own, enabling you to spend more time on strategic initiatives. In this video, you’ll see why the RealPage Financial Suite helps you get it all together, all on one integrated platform. Find out how our flexible solutions work together, from property and corporate accounting to job cost accounting, financial close management, spend management, and more. Get the power of best-in-class customized financial reporting and find more time to focus on business growth by outsourcing. Ginkgo Residential was like many other property management companies. Their old accounting system had become antiquated, they used multiple platforms that weren’t compatible, and they had to deal with time-consuming backend integrations—putting them at risk for errors. RealPage Accounting Suite provides you with a complete back office accounting system that meets your all business needs. A scalable, web-based accounting system gives your company flexibility and control over your financial responsibilities and reporting for both corporate and property accounting. Watch the introductory video to find out how RealPage Accounting can drive efficiency. If your portfolio’s accounting system is less than robust, make the move to RealPage Accounting. 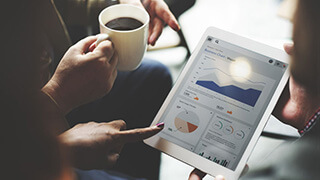 With the industry’s best-in-class financial reporting platform working for you, you’ll be able to view the metrics that matter most to you and your business, including cash flow, budgeting, expense trends, and much more. Watch the video to find out how RealPage Accounting can drive efficiency. 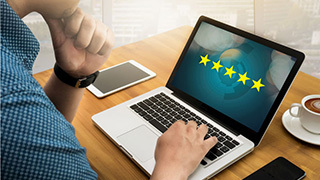 In today’s review-centric world, an internet search for a business usually yields some sort of quick rating or score as a guide. 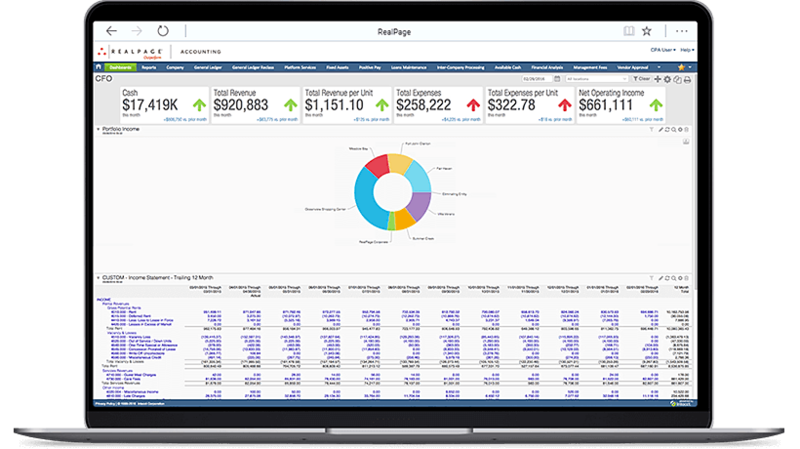 See how RealPage® Accounting Software improves efficiency and profitability company-wide. 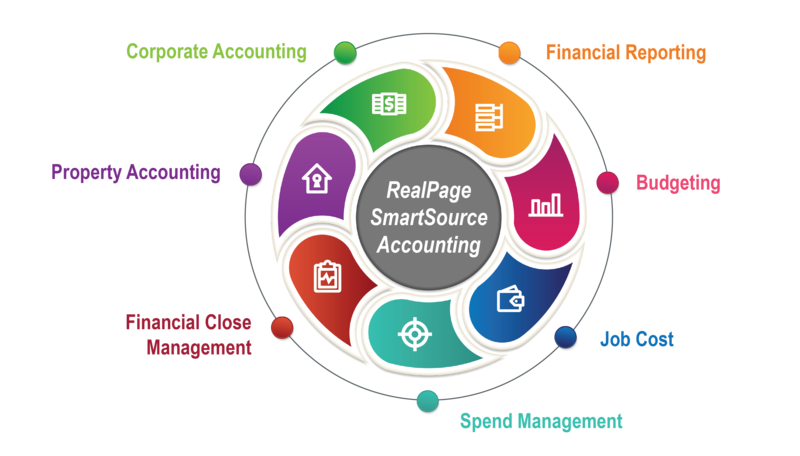 RealPage accounting delivers customized & accurate reporting. Analysis of detailed operational metrics is just one way to assist in determining asset health. The depth of information about vehicle performance available on today’s electronic dashboards is light years ahead of the basic speed, fuel, temperature, tachometer and voltage gauges common on cars 40 and 50 years ago. And rightfully so. Cars are far more complex than those gear-noshing metal beasts in the golden age of automobiles. Driving conditions are just as convoluted, and tracking performance is critical. The dashboard is there to help the driver navigate better and get a real-time feel of the road. Apartment owners and operators love the business of real estate. Creating value. Improving process. Trading assets. But accounting, producing financial reports and other repetitive functions? Not so much. The core of utility management is found in the books. And while keeping the books is critical to the value of an operation, the process can create drag on the margins when it should improve an owner’s ability to build profit. The truth is accounting processes and other back office functions haven’t changed in decades.